Cabot Oil & Gas Corporation had its day in court on Monday, but little went as expected. There were four separate elements to the proceeding in the Court of Common Pleas, as explained by Susquehanna County president judge Jason Legg. Three defendants who Cabot has subpoenaed for depositions gave varying excuses for missing scheduled court dates, and another – Craig Stevens – had previously given a deposition in Virginia, his state of record. Each was in attendance on Feb. 4. Defendant Ray Kemble made the unexpected move of trying to fire his lawyer during the proceeding. The attorney’s response to the judge indicated that the feeling was mutual, but they are stuck together – for now. Cabot’s primary purpose was to force Kemble to be deposed in relationship to a lawsuit against the Speer Law Firm. Speer had previously filed a lawsuit against Cabot but quickly withdrew it within two months after it had already gained headlines and notoriety. Stevens and Kemble are also accused by Cabot of breaching the non-disclosure agreements that were part of settlements reached with them and other families who claimed as early as 2009 that Cabot’s drilling practices had contaminated their water supply. Both have been traveling the country and speaking out against drilling and hydraulic fracturing, the latter the practice by which natural gas companies release the gas from the Marcellus shale many thousands of feet below the surface. 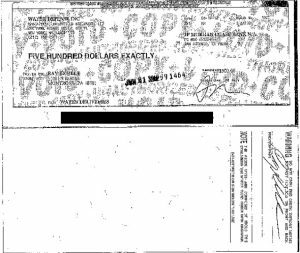 On Feb. 4, Cabot attorney Amy Barrette presented as evidence copies of checks paid to Kemble and Stevens by anti-drilling organizations like Food and Water Watch to the tune of five and six thousand dollars per month. Both have taken it upon themselves to speak on behalf of Dimock area residents for Water Defense, Food and Water Watch and other organizations. 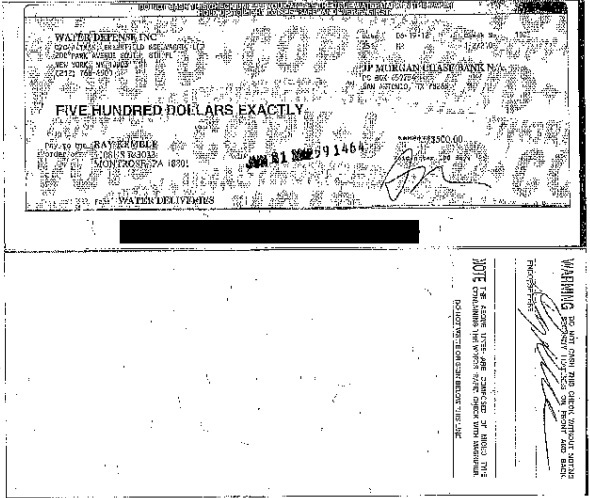 Tracing the source of the millions of dollars per year received and spent by these “watch dog” groups is nearly impossible because they are not required to disclose the names of their donors, only the amounts. 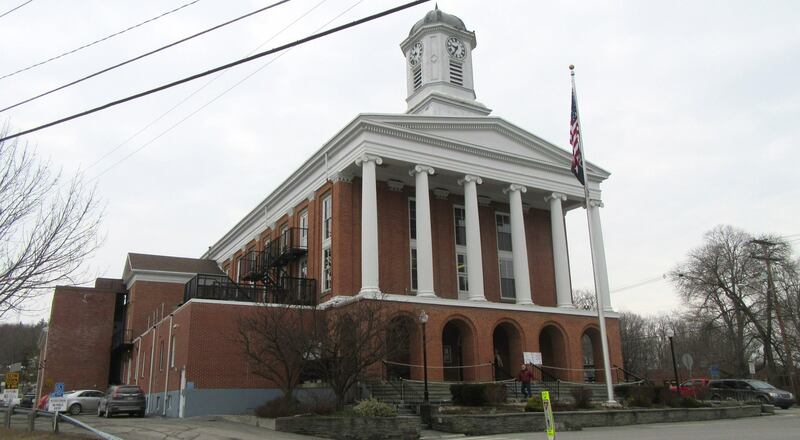 Kemble claims to have cancer and cited the illness for the reason that he missed two scheduled depositions at the Susquehanna County Courthouse. He arrived at the courthouse on Monday pushing a walker on which he leaned for support, telling the judge that a recent surgery prevented him from sitting for more than 15 minutes at a time. Prior to the Feb. 4 proceeding, Barrette did receive a doctor’s note indicating that Kemble could not sit for a deposition and indicated that she and her team would be willing to continue the hearing to a time when Kemble would be able to sit again. Kemble’s attorney, Rich Raider, remained seated at the table next to Kemble until he was asked to speak by the judge, at which time Raider made a motion to be withdrawn from the case. Raider asked to approach the bench and presented printed copies of social media posting by Huston as evidence of the latter’s overt tampering with the case. “I cannot even repeat in this courtroom what he has said about me,” said Raider. The judge scanned the documents and shook his head in dismay. “Have you had a discussion with your client?” Judge Legg asked. Raider replied that, when Kemble would not answer his calls, he went directly to his house to explain the importance of his appearing in court and cooperating. Barrette objected on the grounds that Kemble had stated previously that it was very difficult for him to secure representation. Raider’s withdrawal would add further difficulty to an already complicated case, she asserted. Barrette also took aim at Huston, suggesting that the judge refer him to the district attorney for portraying himself as a lawyer. “He is supposed to be Mr. Kemble’s friend, and he has placed him in peril,” she remarked. “I don’t know how I would continue to represent him,” Raider replied. “I’ll have new counsel before that date,” Kemble interjected. “Until then, he’s your attorney,” Legg advised Kemble. Huston and former Montrose Borough Council member Julanne Skinner had also been subpoenaed and skipped scheduled hearings. Skinner represented herself on the witness stand, saying that financial hardships had forced her to take three jobs, and juggling the schedules was challenging. Huston claimed that he had not been properly served the court order to appear for a deposition, so Barrette asked the county sheriff to serve him a subpoena on the spot. Huston further claimed that he was “indigent” and had been unable to find an attorney. The depositions of each of those in attendance was continued to March 15. All parties involved are expected to be back at the courthouse again at 3 pm on March 29. After the unusual session was adjourned, Cabot Oil & Gas director of external affairs told the media that this was the first occasion to expose Kemble, Huston, Skinner, and Stevens as actors – paid actors at that. The goal of the lawsuits against Kemble, Huston and the others, he said, is to uncover the sources of the third-party donations.